The latest findings come as a state commission prepares to vote Wednesday on a proposed 51 permits for the annual moose hunt, the lowest in nearly 30 years. Permits have declined, partly because of the impact of parasites, both ticks and brainworm, on moose. 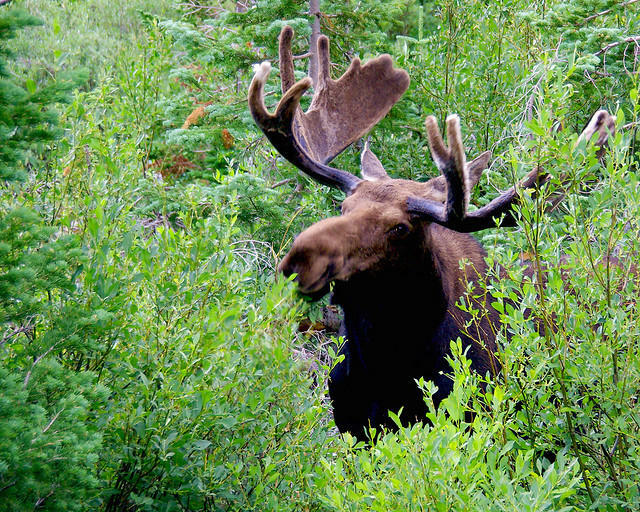 More than a North Country mascot, moose are an indicator of ecosystem health and climate change. 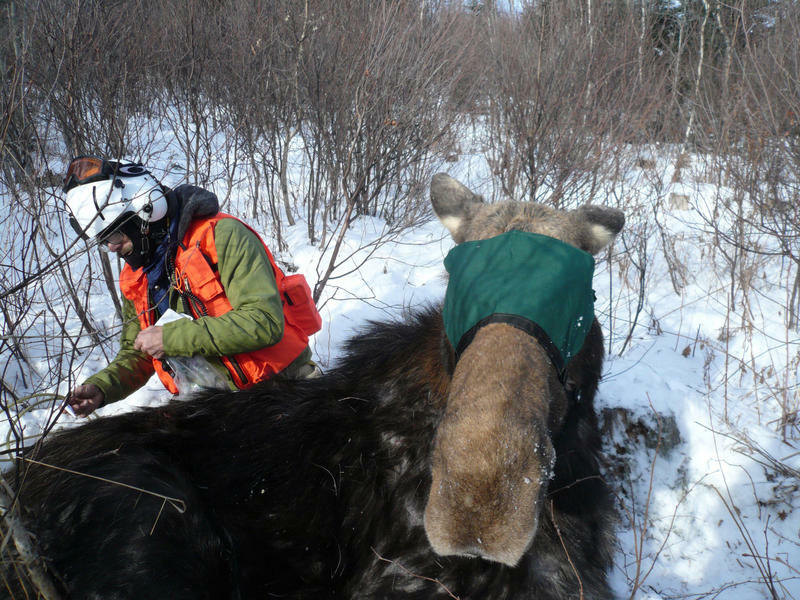 With populations in New Hampshire decimated in recent years, a four-year, three-state study is collecting data on the health of the moose population and the devastation caused by winter ticks. We discuss other threats to the moose population, such as brainworm, and how moose are managed in the state. Fall is a busy time for Kristine Rines's department, the moose are in rut (mating) and hunting season is open. She works for NH Fish and Game as the state’s first ever Moose Biologist. She received the distinguished “Moose Biologist of the Year” from her peers at the North American Moose Conference in 2006. Rines has announced her plans to retire after three decades on the job and sat down with Something Wild to reflect on her time studying the state’s moose. The deadline for entering New Hampshire's moose hunt lottery is May 27. It costs $15 for residents and $25 for non-residents to enter the lottery. A total of 71 permits are proposed to be issued this year. The state's moose hunt will run from Oct. 15-23. Last year, the statewide hunter success rate was 69 percent. Each applicant can enter once a year. A bonus point system improves the chances for unsuccessful applicants who apply each consecutive year. New Hampshire Fish and Game is working on a new plan for how many deer, turkey, bear and moose hunters will be allowed to shoot between now and 2025. 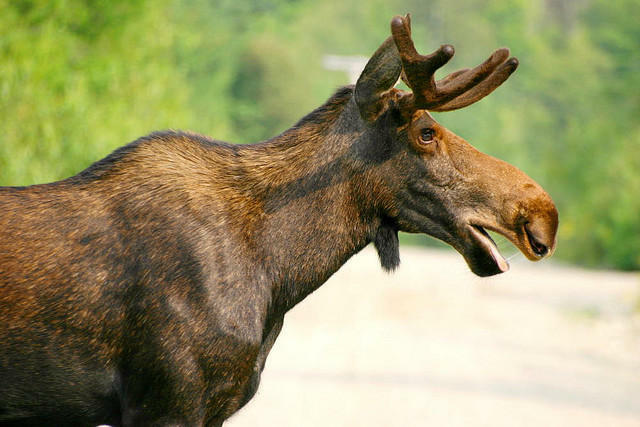 For moose-hunters in some parts of the state, that number may soon be zero. Fish and Game is considering regional population thresholds, where if moose herd continues to decline it will call a moratorium on the moose hunt.